There’s nothing Tel Avivians love more than their bicycles. Whether riding from home to school, university to work, work to the market or from the market to a bar: Tel Avivians will ride on anything with wheels day or night; from regular bikes, tandems, electric bikes with 2 baby chairs or a child or dog trailer on the back, 2 wheels are the way to go. 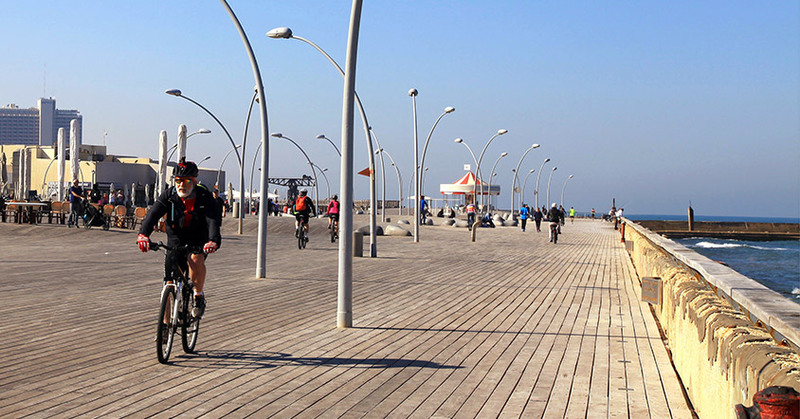 Tel Aviv has been adapted to embrace this lifestyle with a brilliant network of cycle-specific lanes and paths. The Tel Aviv Crosstown Bikeride is extremely popular because of this and takes place every year during the Sukkot holiday in October. It’s one of the city’s most popular family events, with many of the main streets in the city closed off to motorists. For guests at The Norman Tel Aviv we have a selection of urban bikes for your enjoyment and our expert concierge will gladly inform you about how, where and when. The Crosstown Bikeride will happen on October 21st, beginning at 6:30 am in Park Hayarkon and finishing in the same spot. 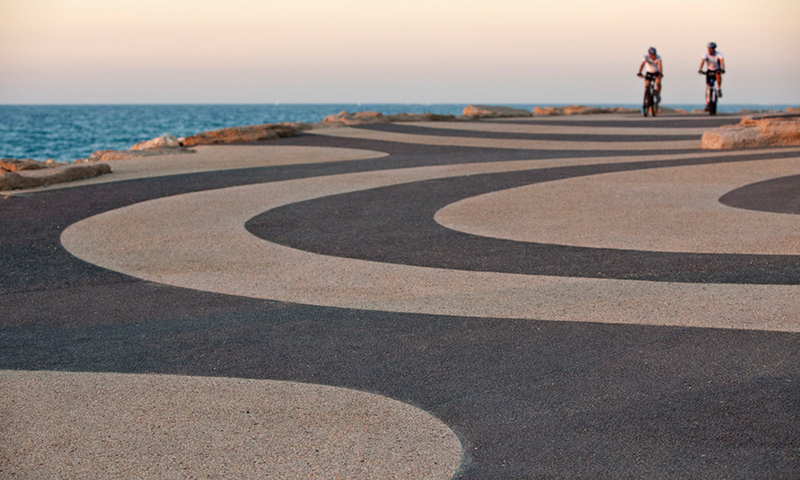 The route includes the Ayalon freeway, the stunning sea promenade and many of the city’s leafy boulevards. There are routes ranging in length from 8 kilometers to 41 kilometers as well as many associated events. If you take a bike ride, we can’t think of anything better to do on your return to the hotel than a relaxing foot massage, a gin cocktail at The Library Bar or a swim in our infinity pool. Or all 3 in fact! And just when you didn’t think you could unwind more? You can look forward to a glorious night’s sleep in our heavenly beds.